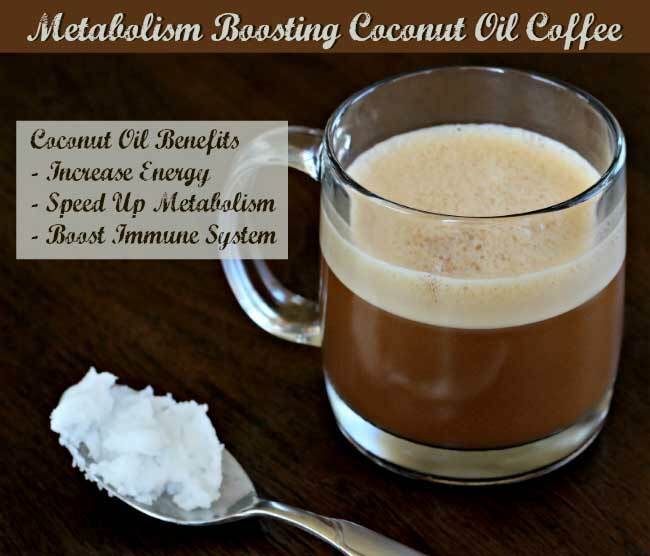 This coconut oil coffee recipe is a very healthy way to enjoy in your morning and to boost your metabolism. It may not come as a surprise, but we put coconut oil in my coffee. And believe us, it’s delicious. It’s not only delicious, it helps fight all kinds of germs we encounter every day. As we mentioned before, coconut oil gives you energy. If you wonder how it works, we have the answer. Coconut oil is made up of MCTs (Medium Chain Triglycerides). MCTs are more rapidly absorbed by the body and are quickly metabolized as fuel (not stored as fat). Eating MTCs, results in accelerated metabolic conversion. The calories that are found in MCTs, instead of being stored as fat, they are very effectively converted into fuel for immediate use by the body. There was a study conducted between 40 female volunteers between the ages of 20 and 40 who suffered from abdominal obesity. Over a 12-week period, the women were given a daily dietary supplement comprising of 30 millimeters of either soybean oil or coconut oil. At the conclusion of the study, the researchers found that the women who were given the coconut oil experienced a significant reduction in both BMI and waist circumference, as well as an increase in “good” HDL cholesterol. The same couldn’t be said for the group that was given soybean oil. And now, since you know how amazing coconut oil is for your health, we’ll show you how to make this fabulous coconut oil coffee. Tools: A blender and your favorite coffee cup. Ingredients: Coffee (preferably organic) and a teaspoon or two of coconut oil. Note: Coffee substitutes, like Dandy Blend, can be used instead. Optional ingredients: Stevia, honey, coconut sugar, gelatin (superfood and protein), vanilla, peppermint, etc. Pour the coffee into the blender cup. Add the coconut oil and any other ingredients you may like. Blend the coffee. Once blended, pour it into your cup and get your coconut oil coffee on.